You might try isolating small areas of this page to see what intriguing abstract shapes and lines result. 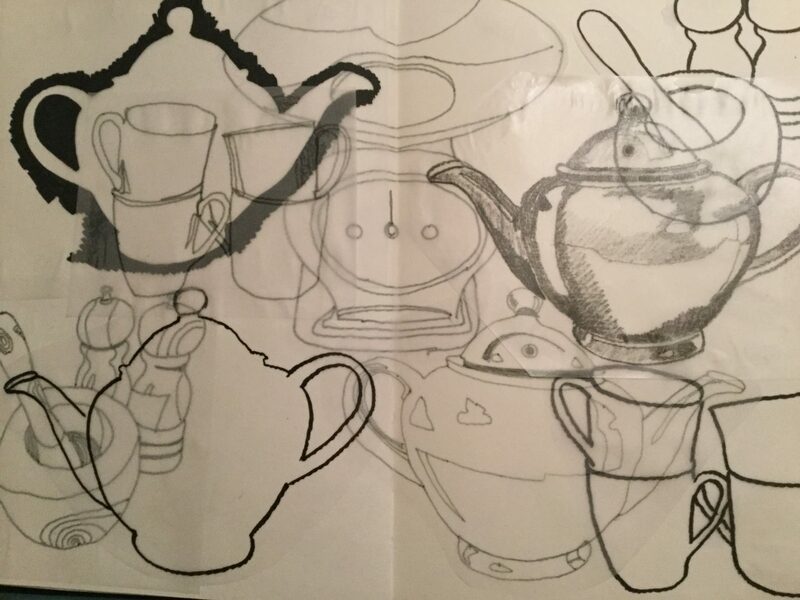 Just cut a little window in a sheet of paper and pass it over the tracings until you find a composition you like. You could then make photocopies of the isolated area for design consideration! There will be more ideas of how to develop these later in the course! Thanks Linda, that's a good idea. I'll have a go at that at the weekend!